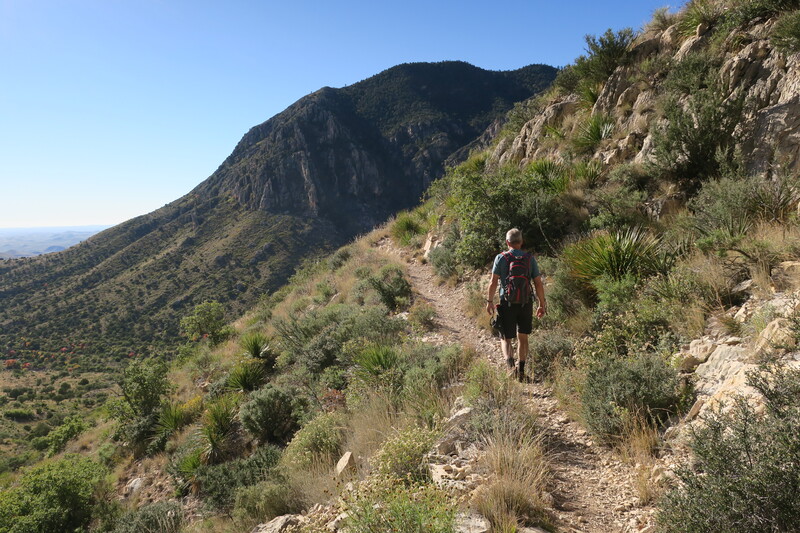 When it comes to outdoor adventures in the Lone Star State, the Franklin Mountains have much to offer. 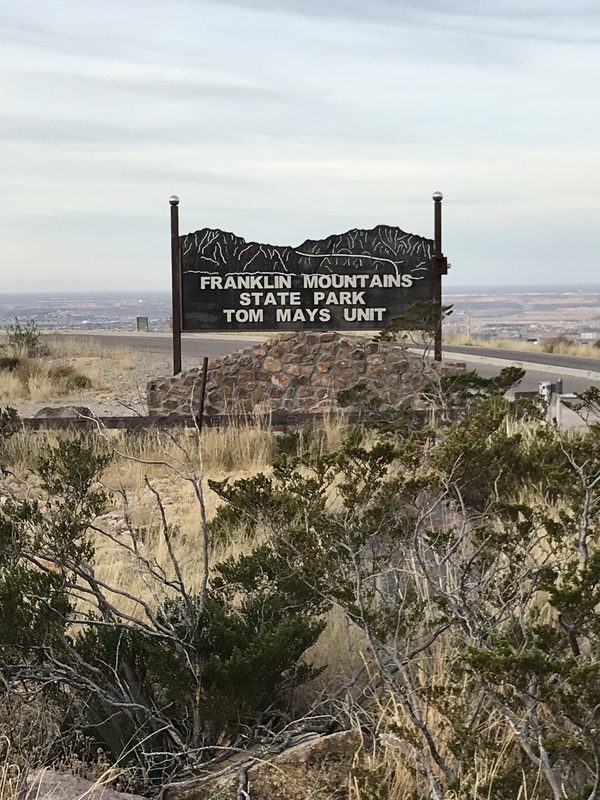 Franklin Mountains State Park is located at the westernmost tip of Texas and is the largest urban park in the nation. 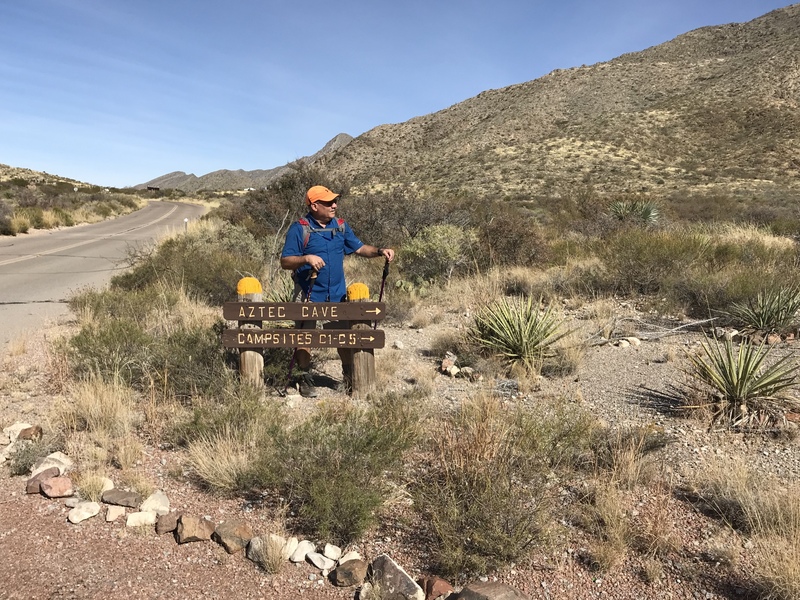 The park encompasses more than 26,000 acres in the city of El Paso, and yet once in the park, you would never know you were anywhere near a city. 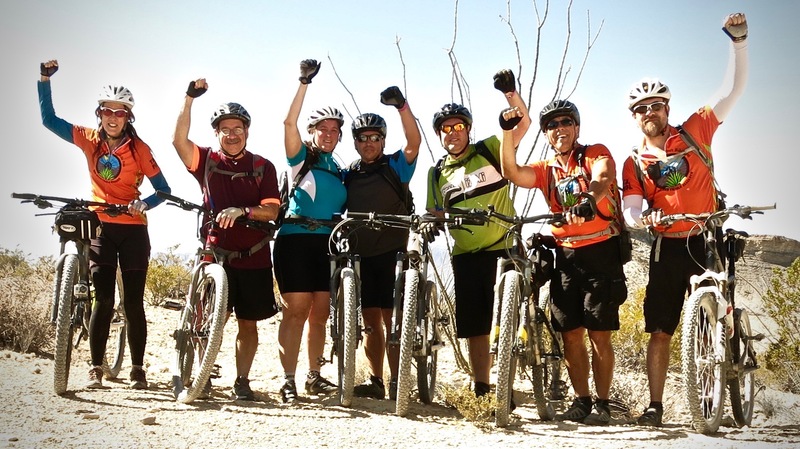 The Franklin Mountains are roughly three miles wide by twenty-three miles long and divide the city of El Paso. 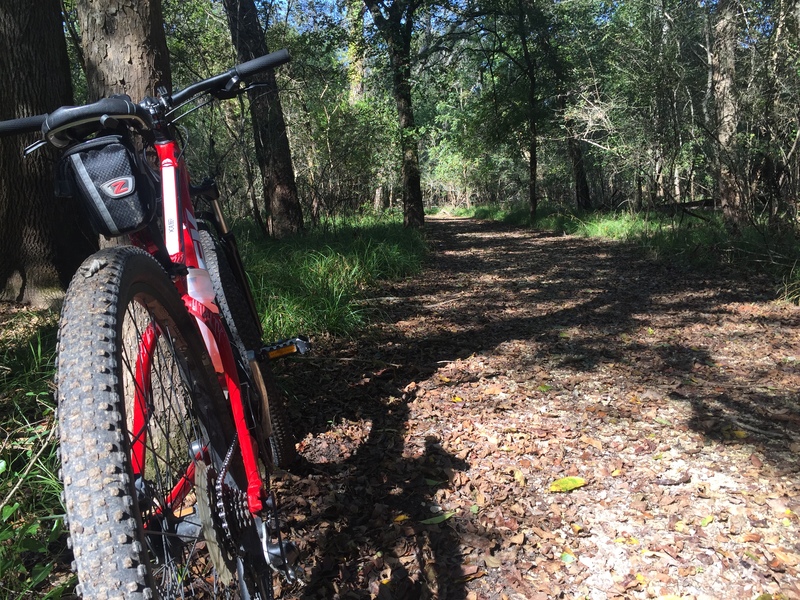 The range rises to an elevation of more than 7,000 feet above sea level and offer some of the best hiking and biking trails in Texas. The state park has some of the best camp sites of any state park — every one with a beautiful view of the mountains. 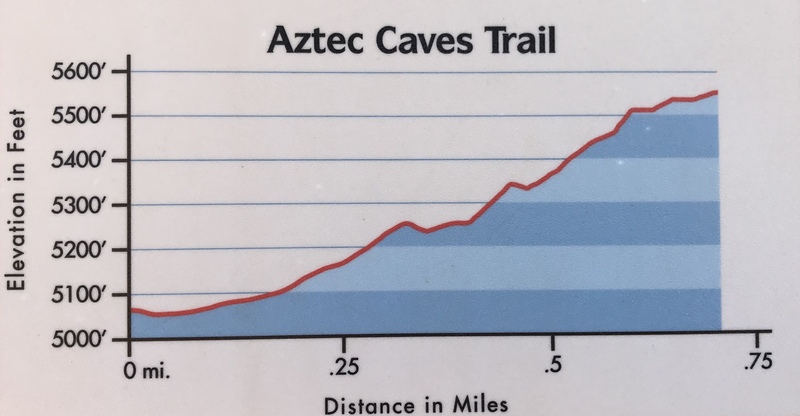 The Aztec Cave Trail is one of the most popular hiking trails in the park. 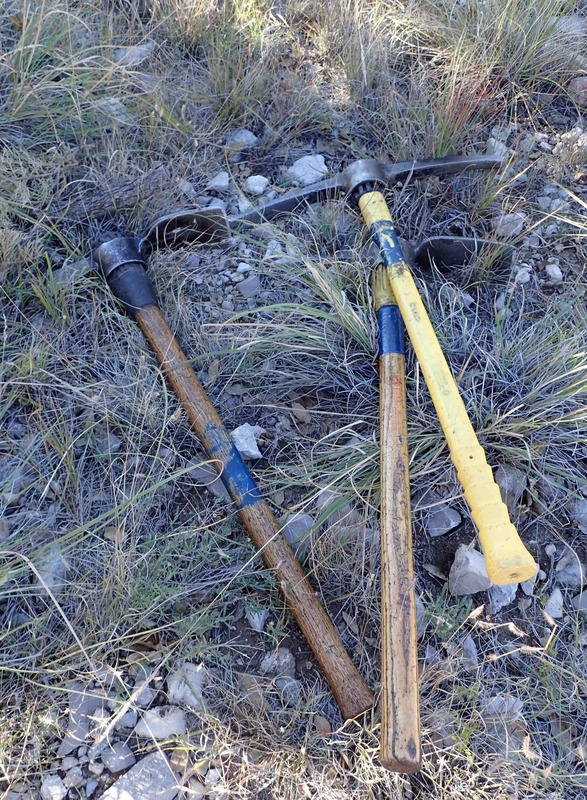 According to local lore, early El Pasoans reportedly found bones and other Native American artifacts in the caves. 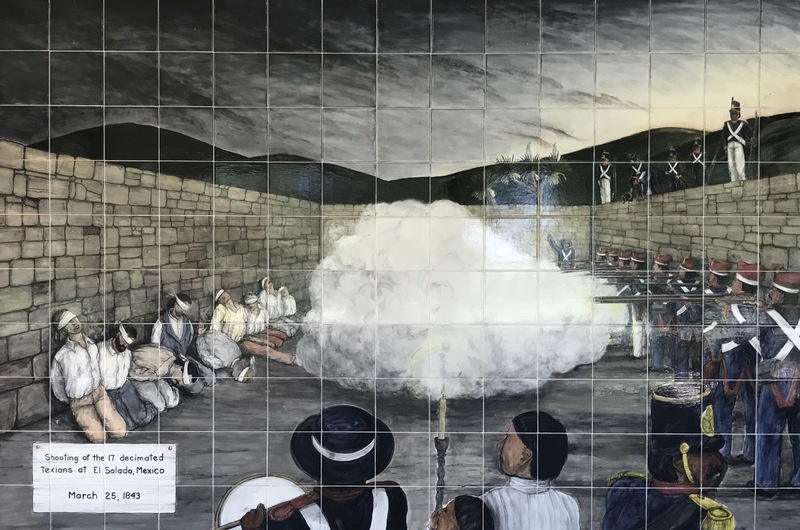 However, they mistakenly concluded that the early inhabitants were Aztecs and the caves soon became known as the Aztec Caves. The trail to the caves is not long but it is steep. 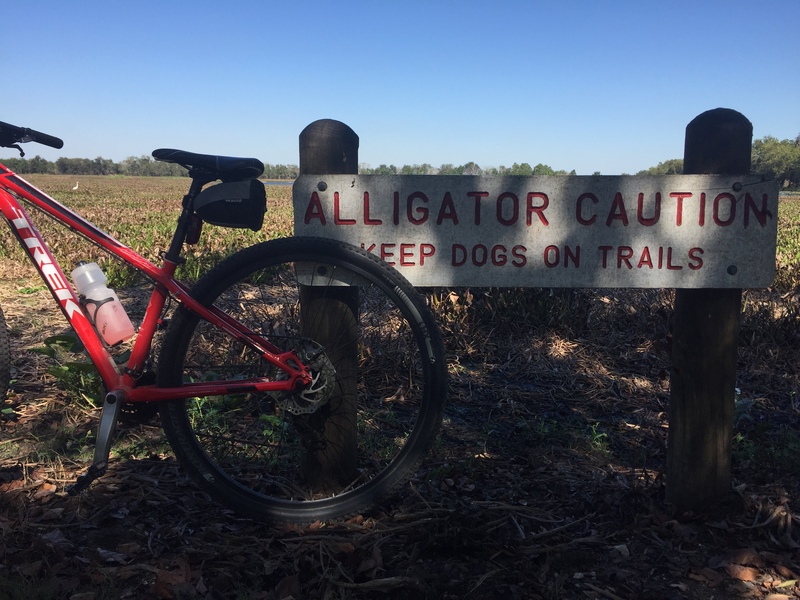 The trail is well-marked and well-maintained. 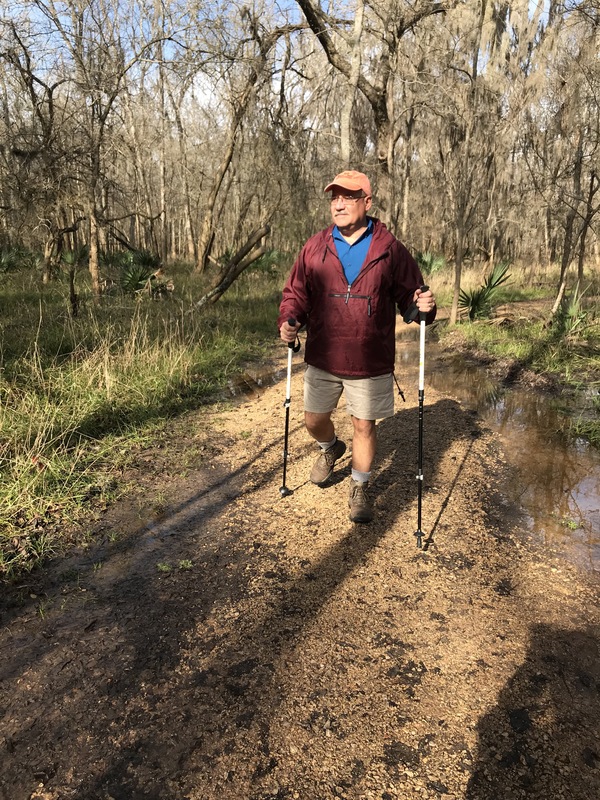 There are a couple of primitive campsites along the way for visitors who want to spend the night at campsites located a bit higher than the other sites at the park. These are definitely bring your own water sites. 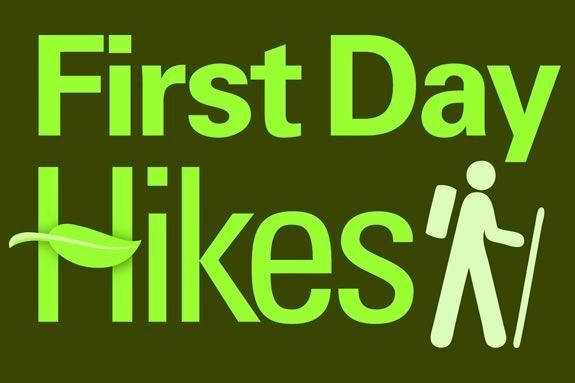 At about a half-mile into the hike, the trail becomes increasingly steeper but very manageable for hikers. 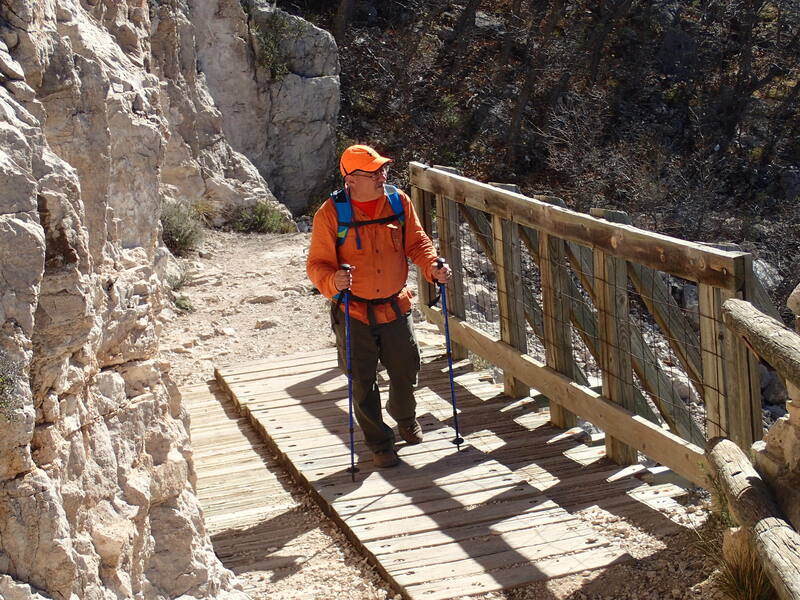 I hike with trekking poles which make sections like this a bit easier to negotiate. The payoff at the end of the trail makes the hike absolutely worth it all. 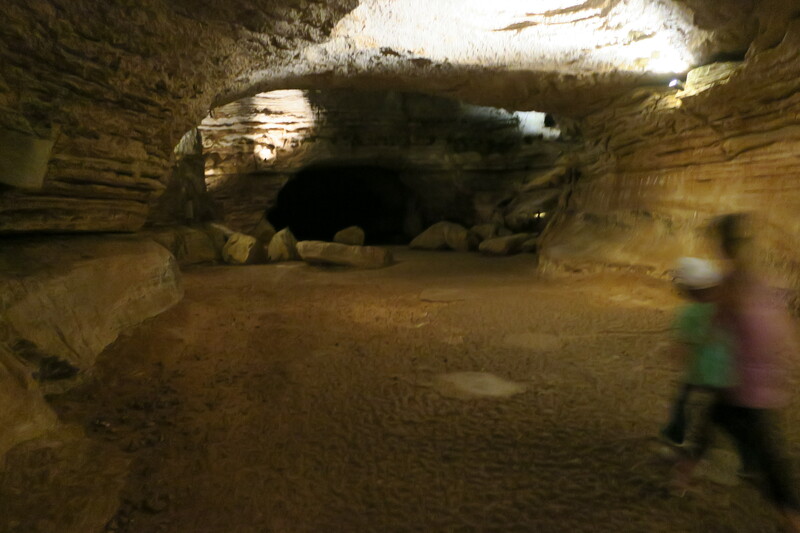 Once you arrive at the caves it is easy to understand why native peoples were drawn to places like this. The view from the caves is absolutely magnificent. 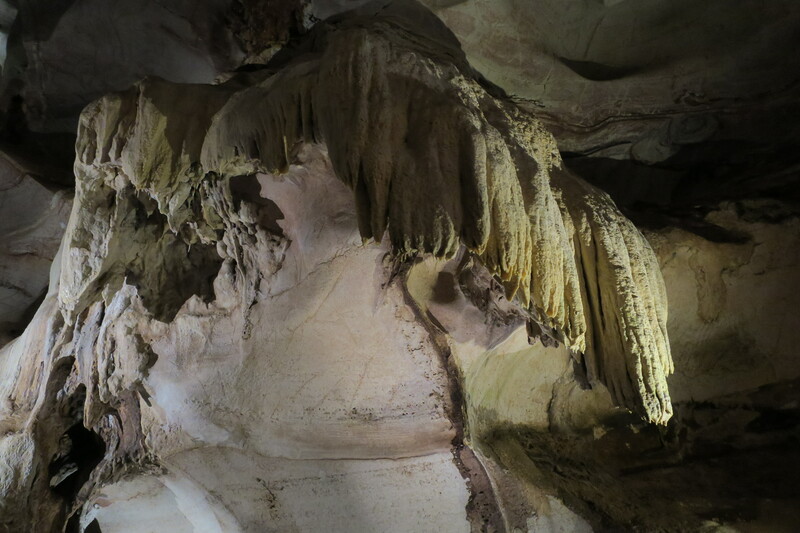 The ceiling of the main cave is stained by smoke, evidence that ancient peoples once spent time here and enjoyed the same beautiful vistas that visitors today enjoy. 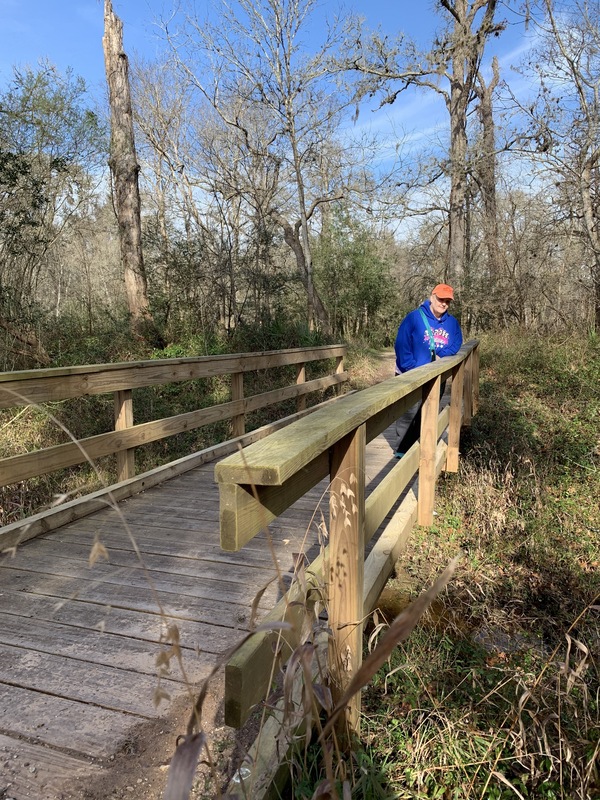 I’m glad that sites like this have been preserved by the Texas Parks and Wildlife system for us and future generations to enjoy. 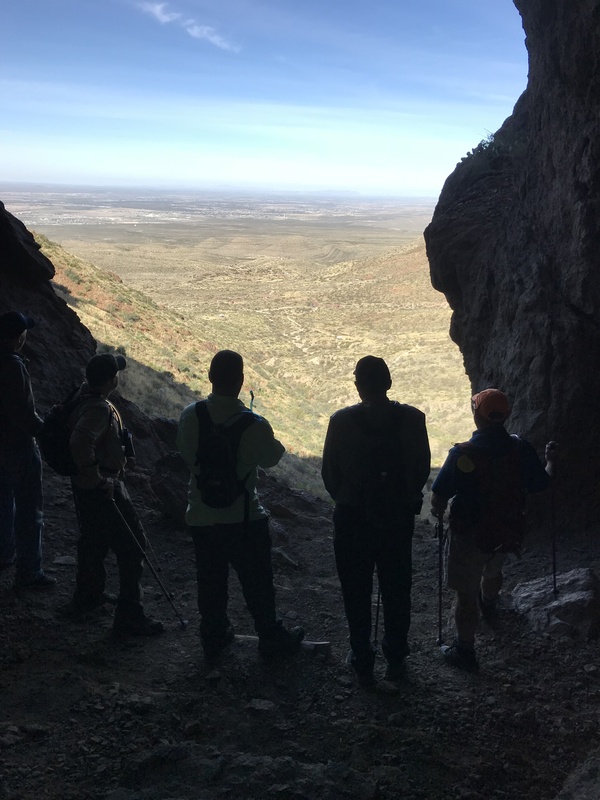 If you enjoy hiking you will definitely enjoy the Aztec Cave Trail and the several other trails at Franklin Mountains State Park. 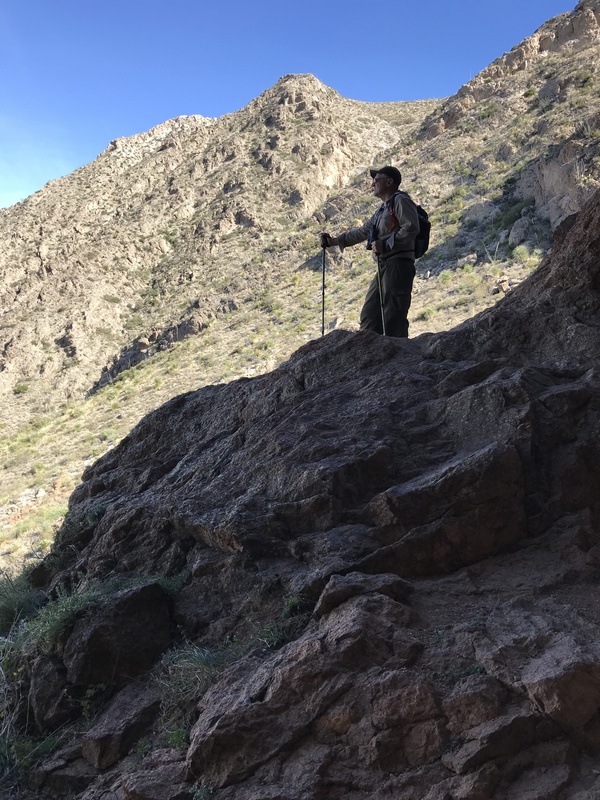 If I lived in El Paso I would make it a point to visit and hike these trails as often as possible. 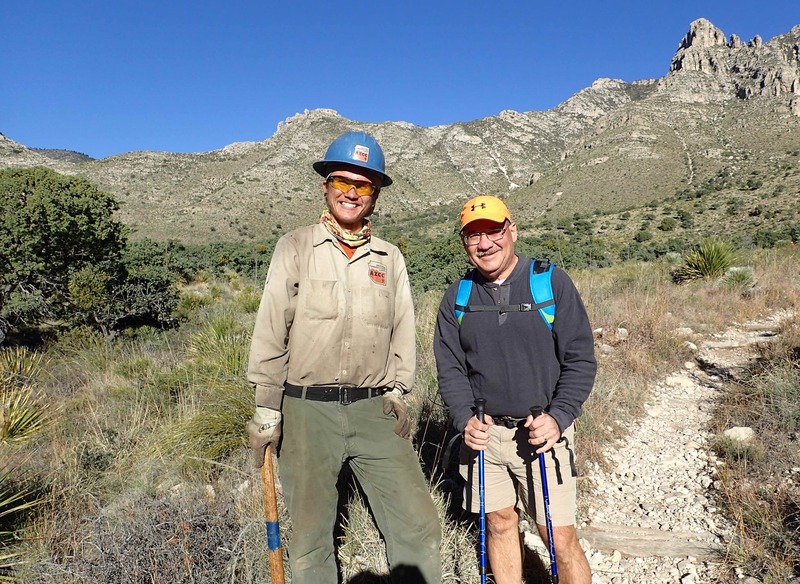 As for me, I am already making plans to return to the Franklin Mountains to hike again. 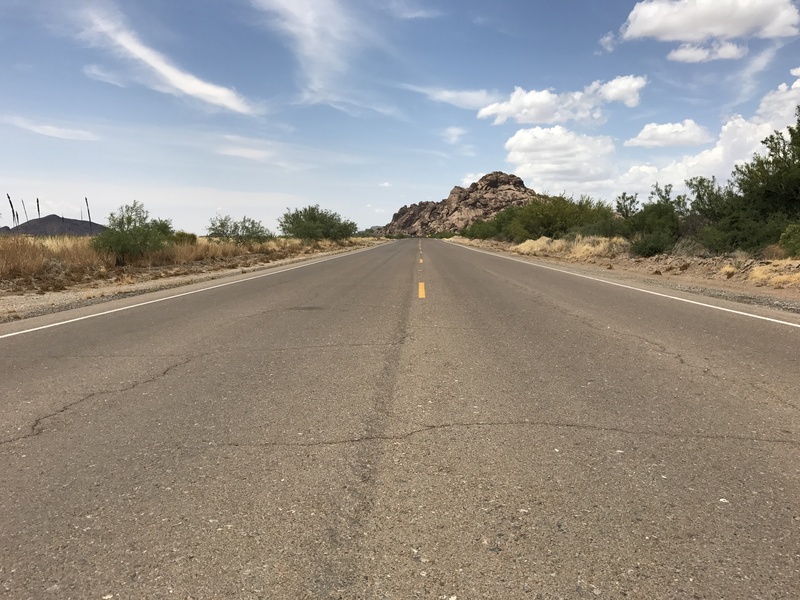 There is a time capsule hidden away among jumbled granite outcroppings located thirty-two miles northeast of El Paso. 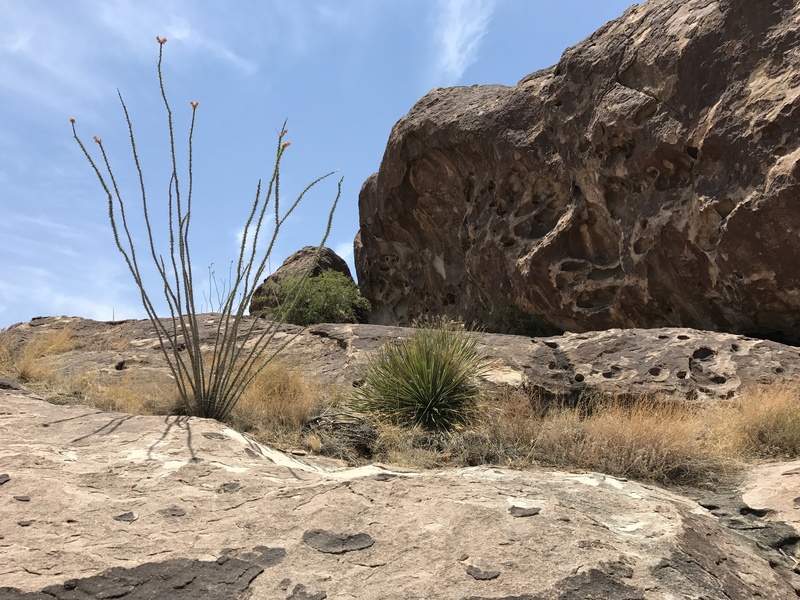 Hueco Tanks State Park and Historic Site is the custodian of this slice of Texas geography where ancient peoples left their marks in stone — a record of more than three-thousand pictographs. The meanings behind these ancient pictographs largely remain a mystery and the subject of archeological research. 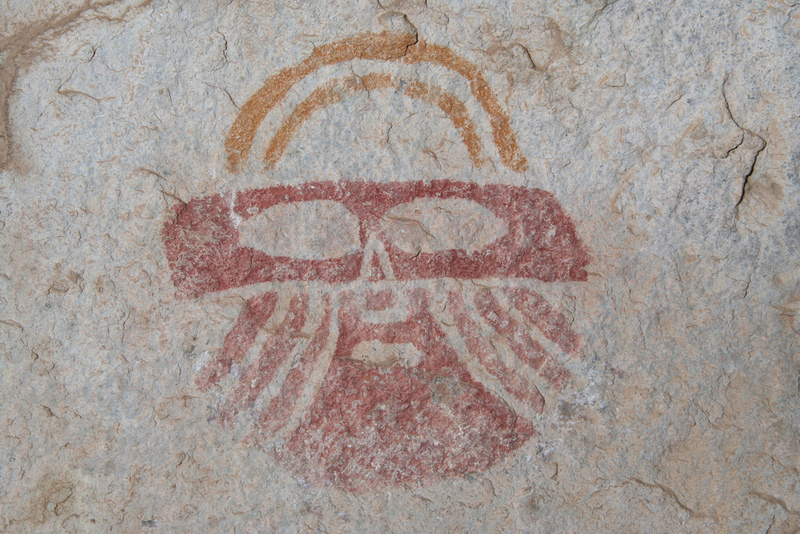 Among these cryptic images are more than two-hundred painted masks or face designs attributed to an ancient people known as the Jornada Mogollon. What is no mystery is why there are so many pictographs in this island of granite rising above the vast sea of surrounding desert. 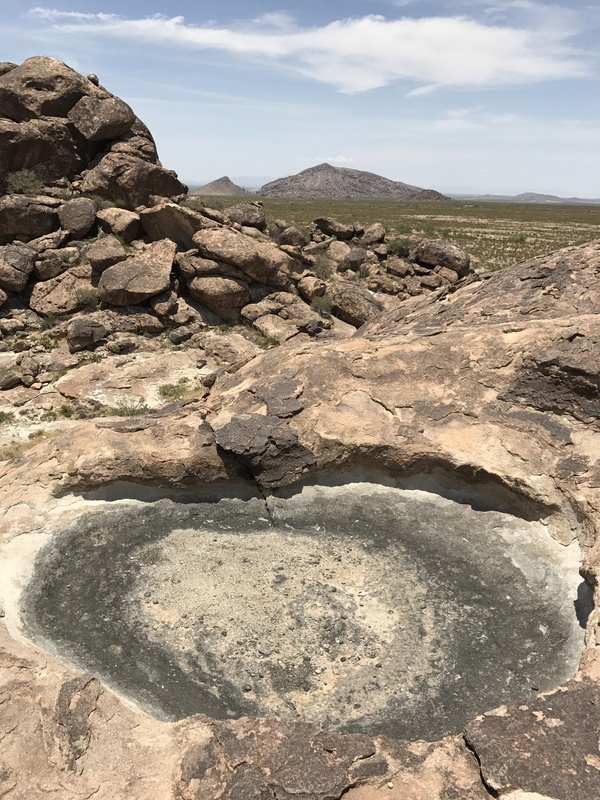 For centuries, ancient peoples were attracted to this area because it provided them with the one essential they needed in order to survive in the desert — water! 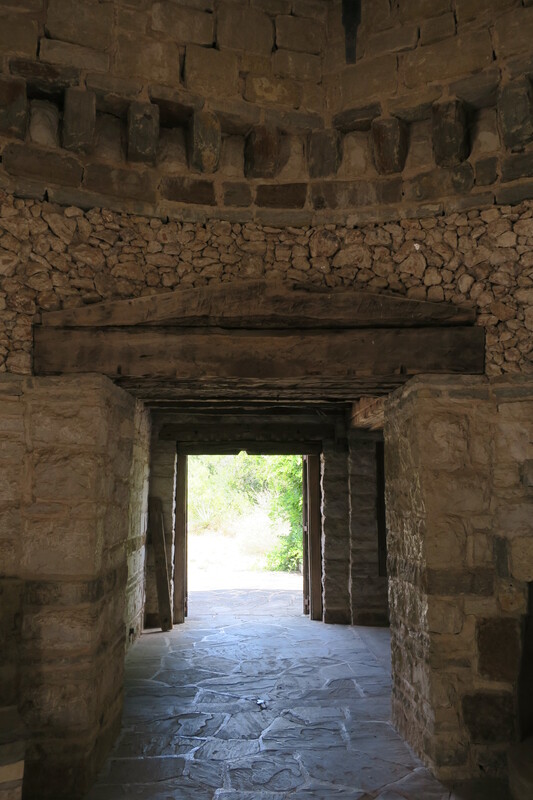 The huge boulders and rocks in the area are pock-marked with fissures and holes, called huecos (whey-coes), that can hold rainwater for months at a time. 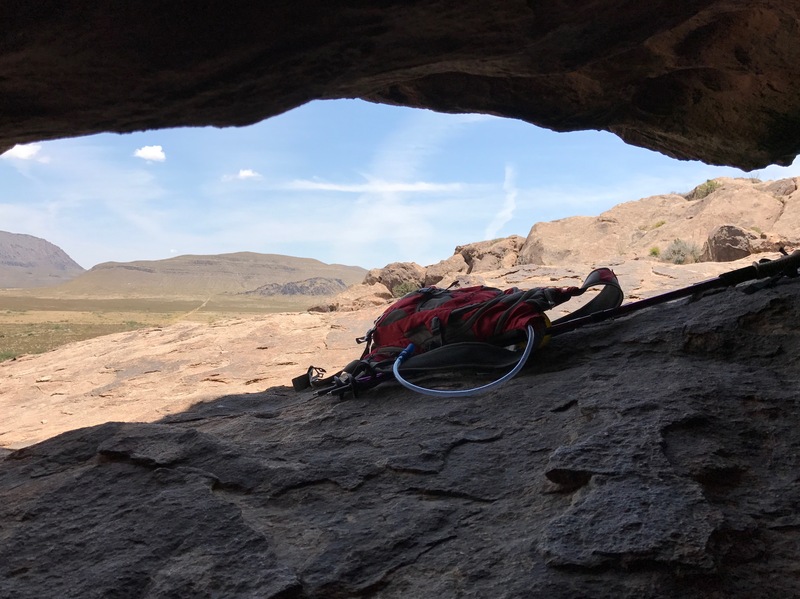 Hueco is a Spanish word that means hollows, referring to the natural depressions in the boulders. These natural water tanks attracted people and animals and created microhabitats that supported a variety of living things. The Kiowa, Mescalero Apache, and Tigua are among the Native Americans that found refuge at Hueco Tanks. These peoples left behind their respective signatures in stone. 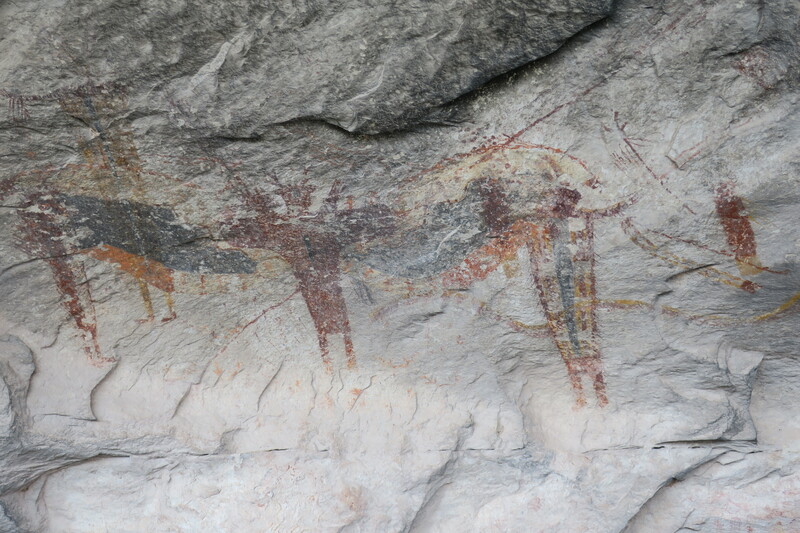 The pictographs of Hueco Tanks show dancing figures, handprints, animals, weapons, and human figures. These images tell stories of daily life, hunting, traditions, celebration, conflict, and more. 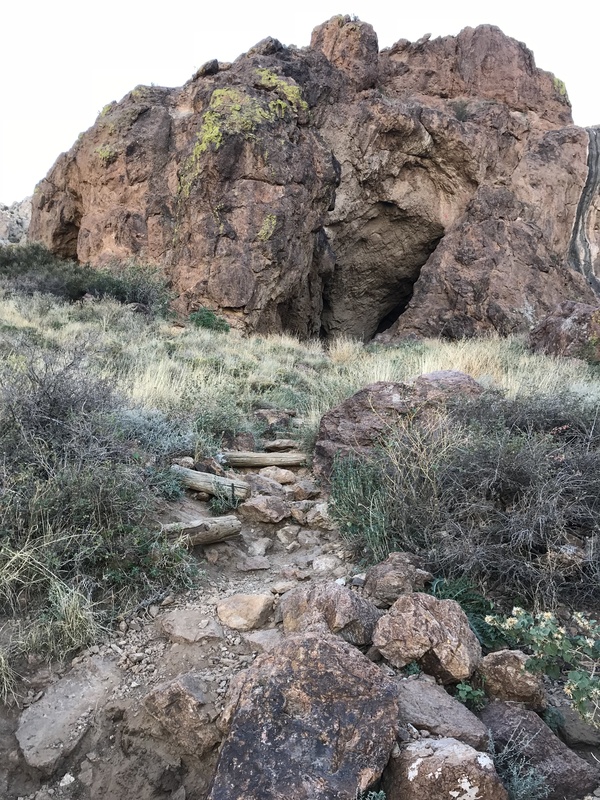 The rocks at Hueco Tanks also record the presence of latter-day visitors — cowboys and travelers through the region who also etched their names in stone. 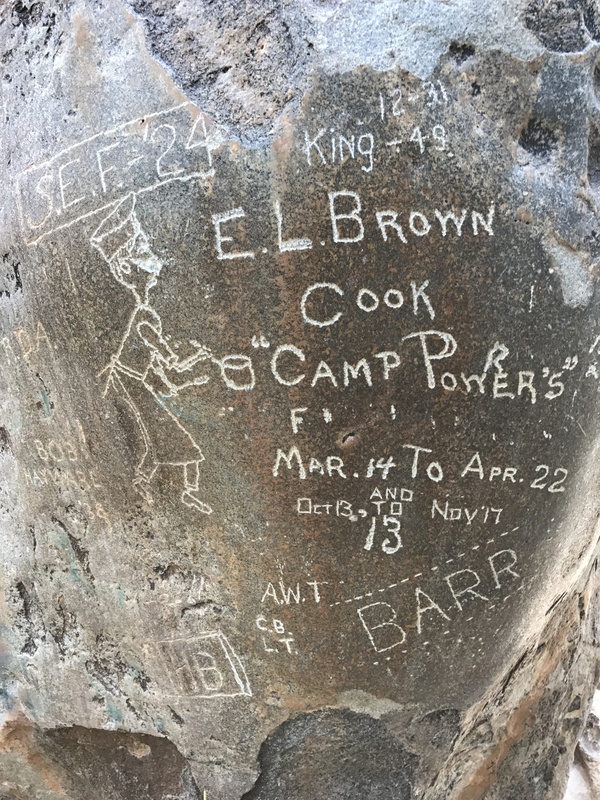 Sadly, vandals have also left their marks at the site, requiring costly services to remove the graffiti without damaging the original pictographs. 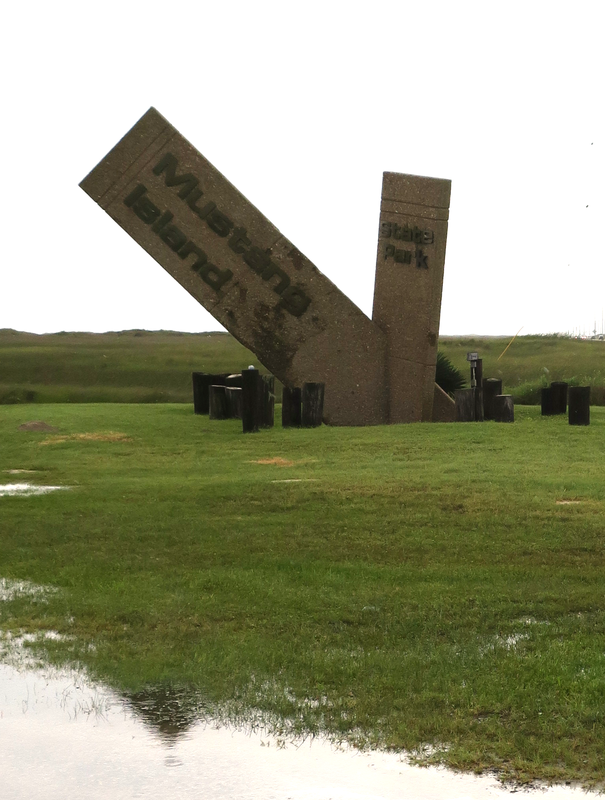 Because of the fragile nature and historic value of the site, visitors to the park are required to watch a fifteen-minute video that provides both the history of and orientation to the site. Guided tours are offered by park rangers into areas that are restricted to other hikers in order to protect the site’s pictographs. 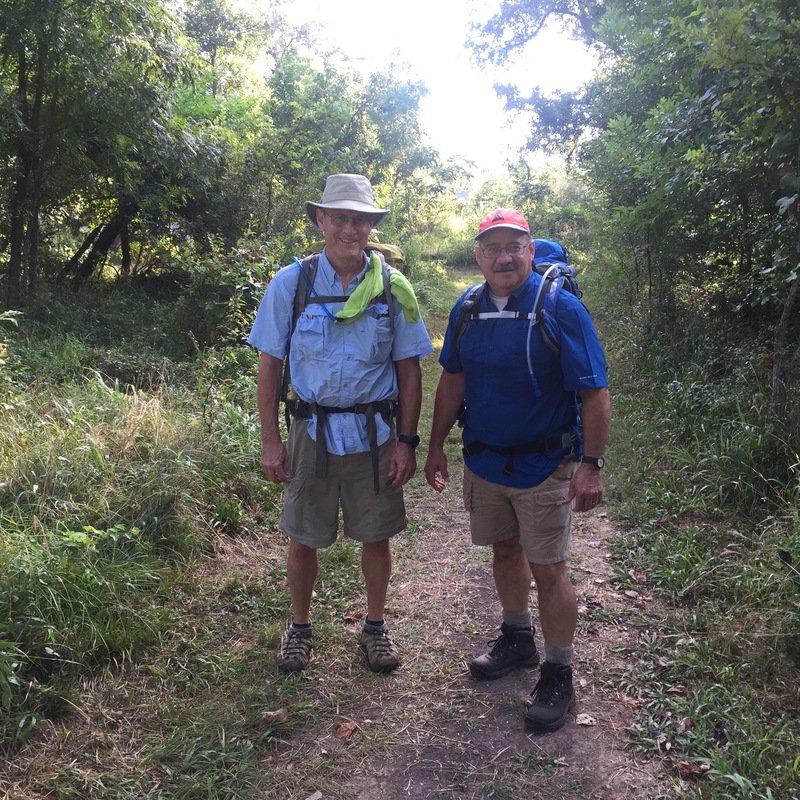 Hikers may access other trails that give them access to some beautiful vistas. 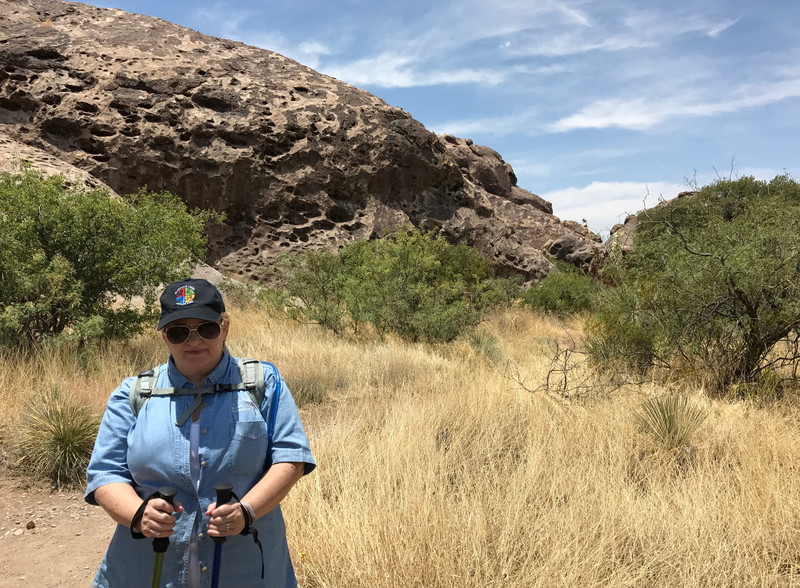 My wife Cheryl and I enjoyed our visit to Hueco Tanks. 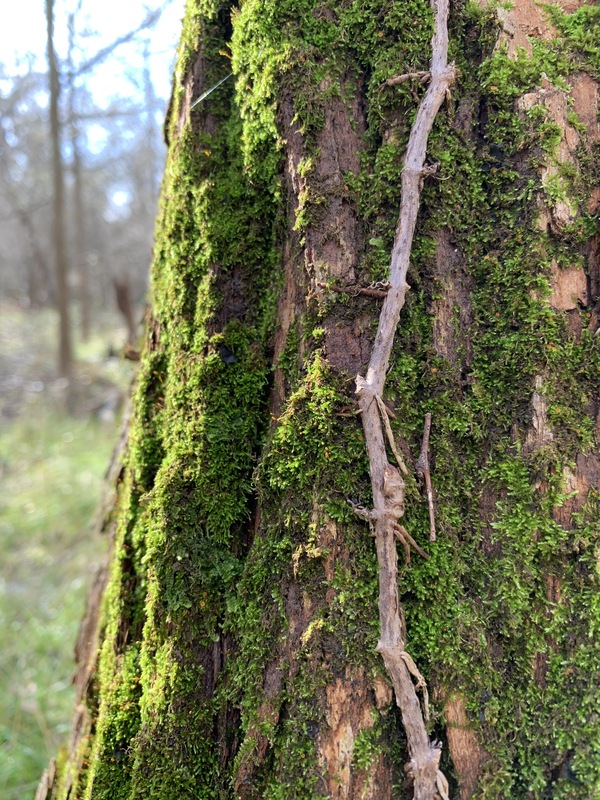 Loved our hike. Loved the sights. 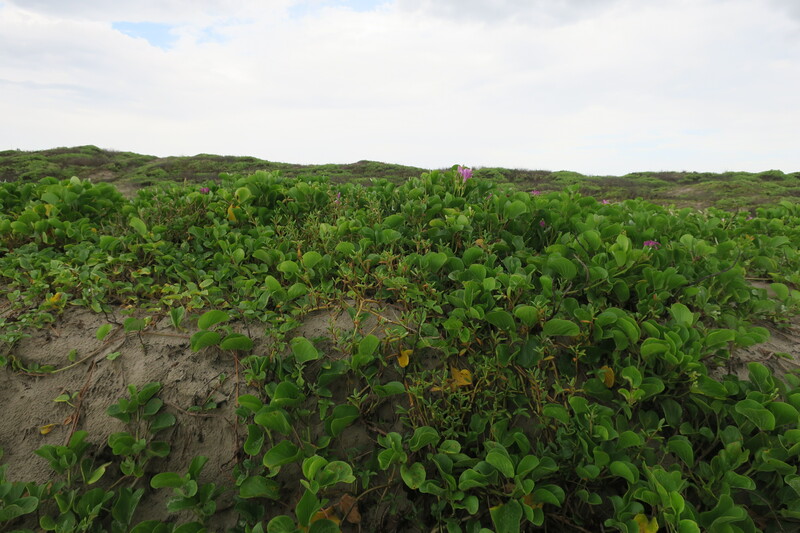 Loved imagining what it must have been like for the peoples who found refuge on this island in the Chihuahuan Desert. 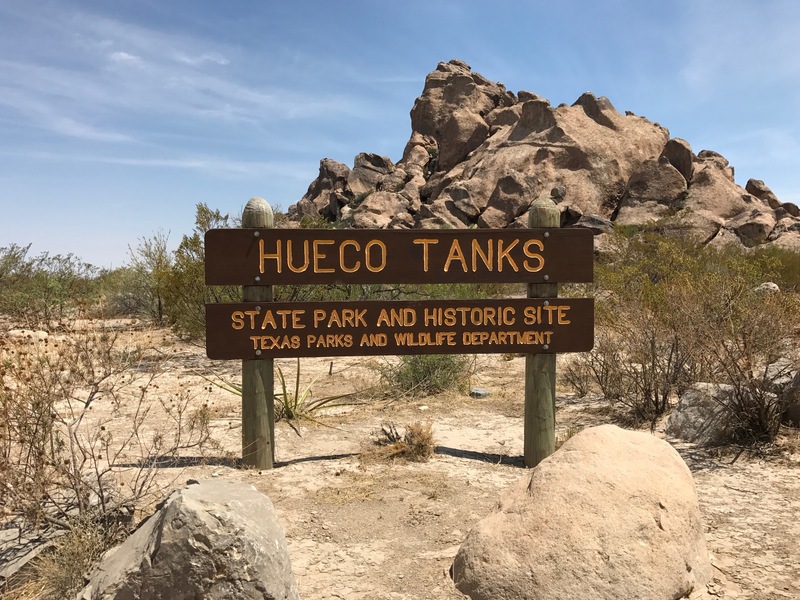 If you are anywhere near Hueco Tanks on your next road trip, be sure to add this amazing site to your list of places to visit. 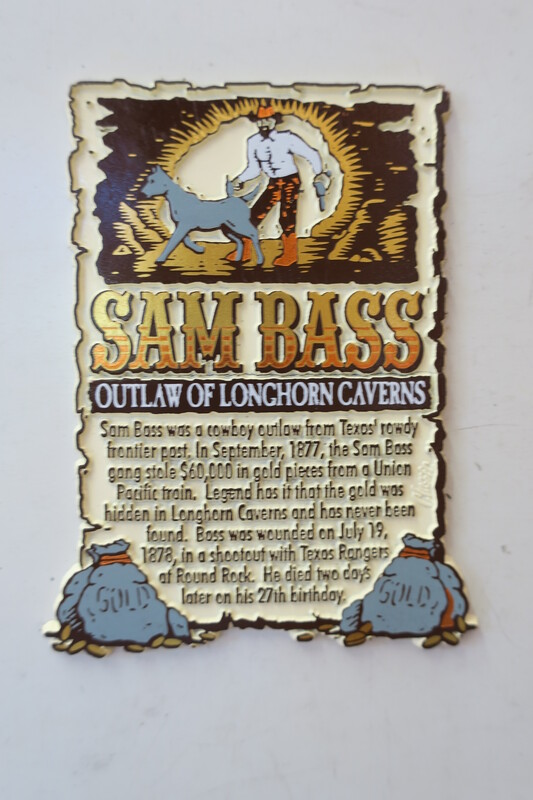 Seminole Canyon State Park and Historic Site is home to one of the oldest art collections in Texas — and I do mean really old. 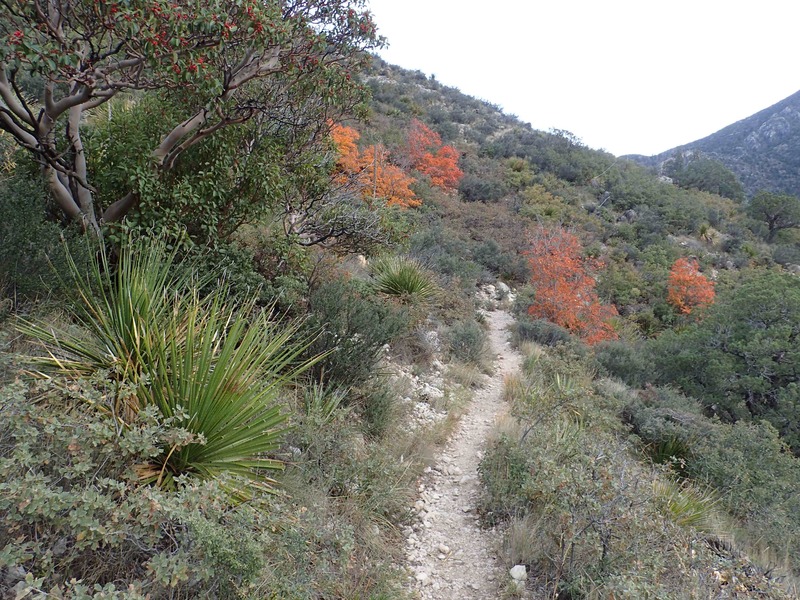 This 2172−acre park is nestled along the US-Mexico border nine miles west of Comstock in Val Verde County. 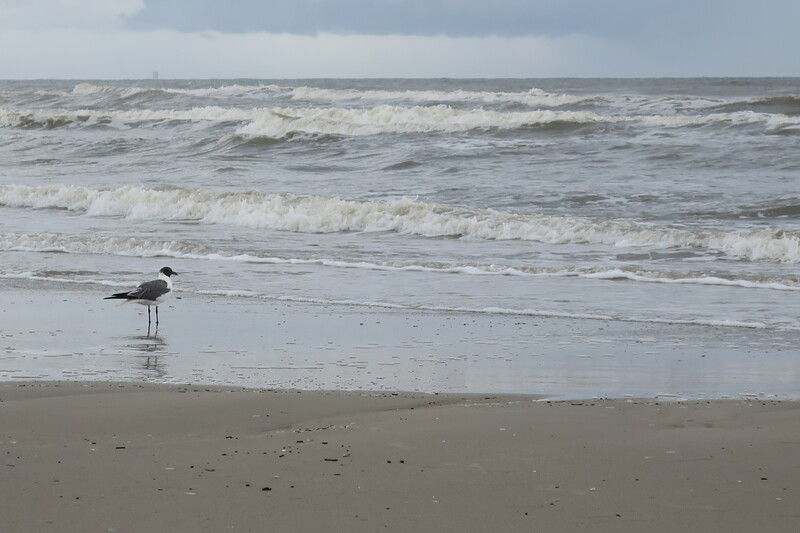 Visitors can expect to see some of the most magnificent vistas in the Lone Star State and a whole lot more. 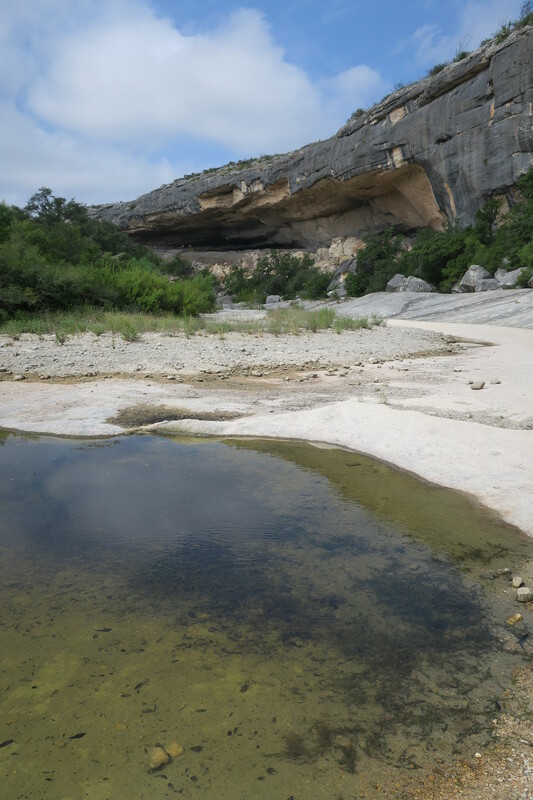 Ancient inhabitants of this rugged region left their mark on the walls and ceilings of the caves along Seminole Canyon. 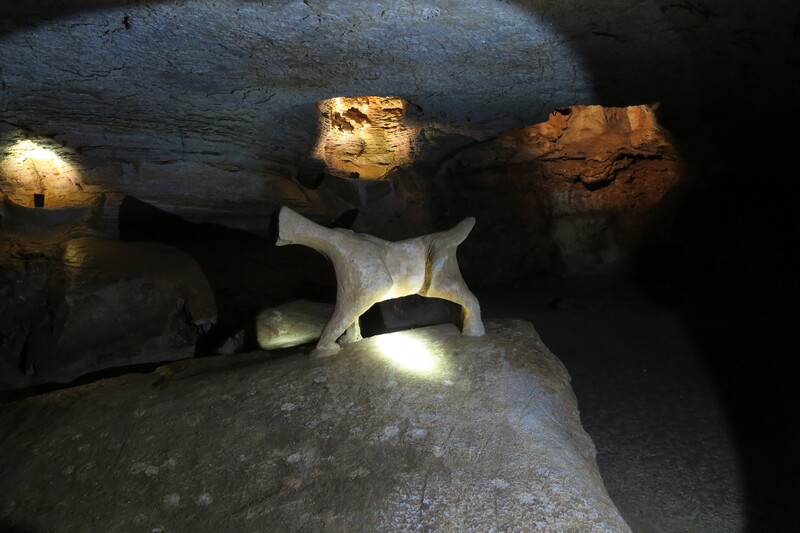 These natural caves provided shelter and the canvas for ancient peoples to record their own stories. 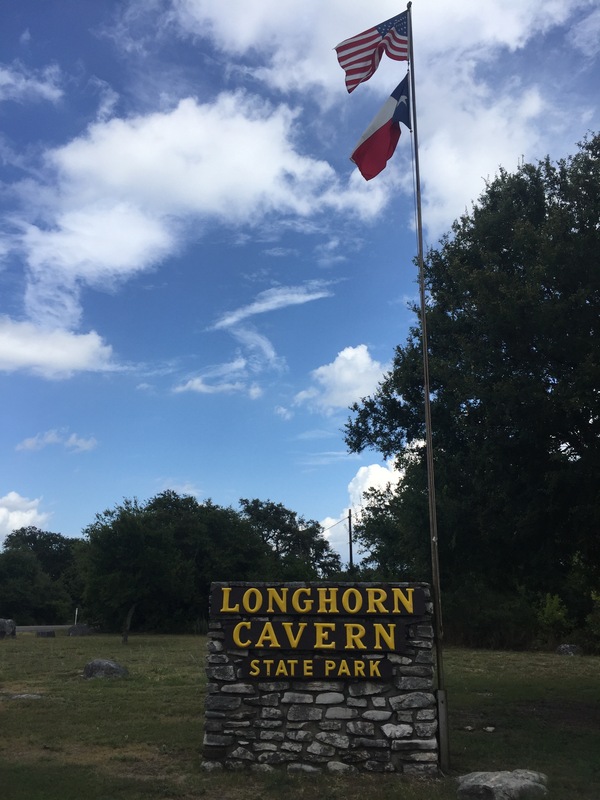 Without question, the rock paintings or pictographs of Seminole Canyon provide visitors to the park with a fascinating visual link to the past. 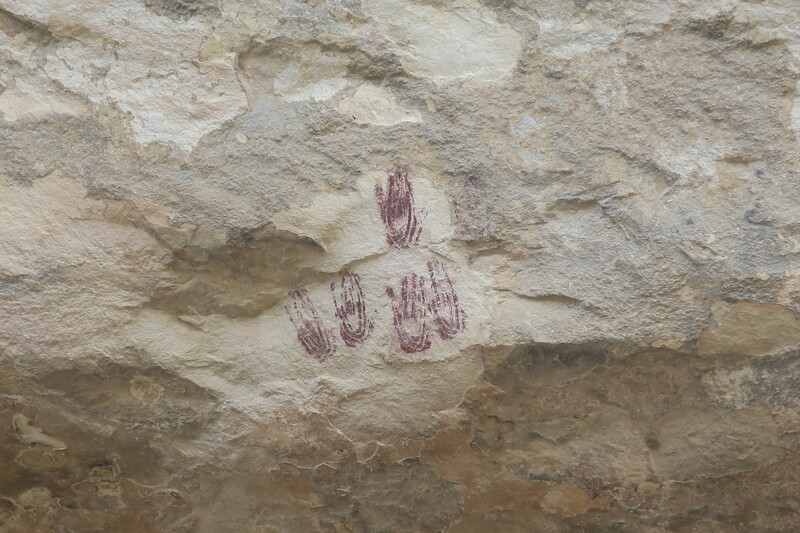 Those who study rock art have identified the pictographs of Seminole Canyon as belonging to the Lower Pecos River Style. This style of rock art appears only within a fifty mile radius of the confluence of the Pecos and Rio Grande rivers. 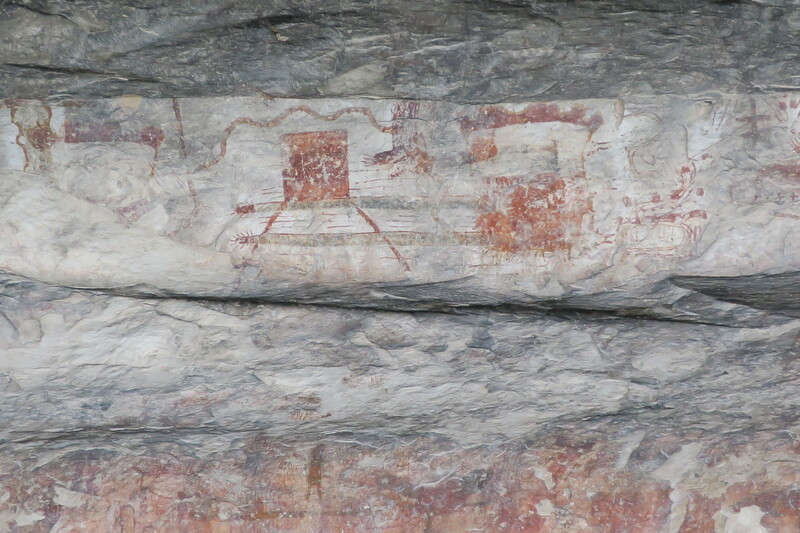 The early artists who painted these pictographs obtained everything they needed to produce and to apply their paints from the surrounding environment. The fact that their art is still on display testifies to their ingenuity and to the quality of the materials they produced. 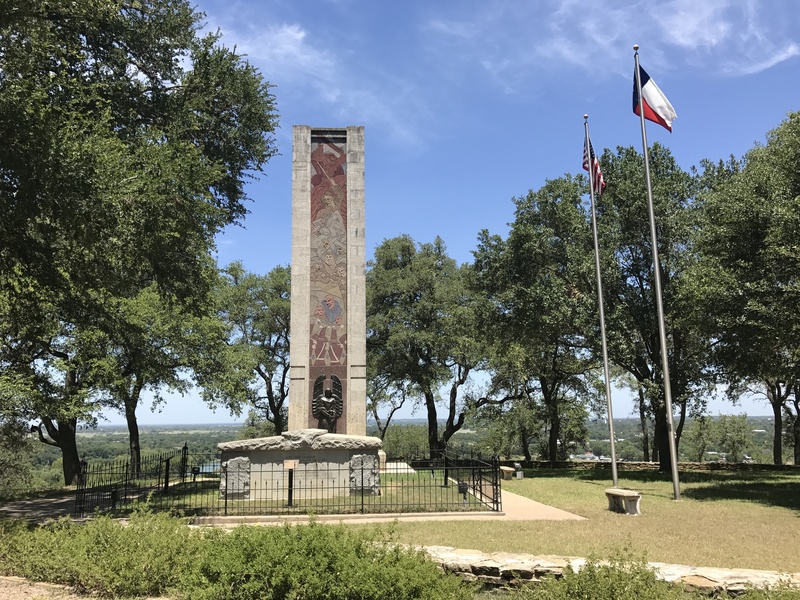 There are more than 200 pictograph sites in the area that contain single paintings and panels of art hundreds of feet long. 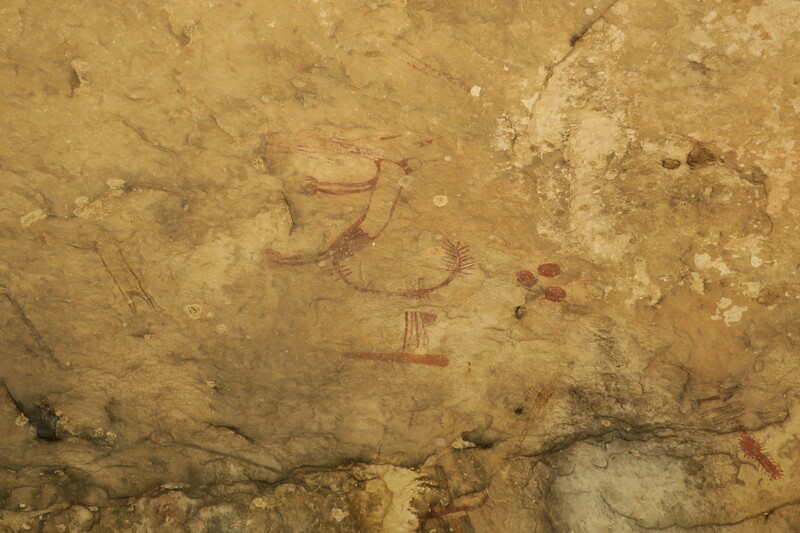 The pictographs depict animals, birds, weapons — and also human, anthropomorphic, zoomorphic, and enigmatic figures. Perhaps the most puzzling thing about these pictographs will always be their meaning. It’s impossible to look at the faded figures without speculating on possible meanings. Regardless of our conclusions, however, the reality is that the exact meaning of these paintings will be forever buried with the ancient artists who painted them. 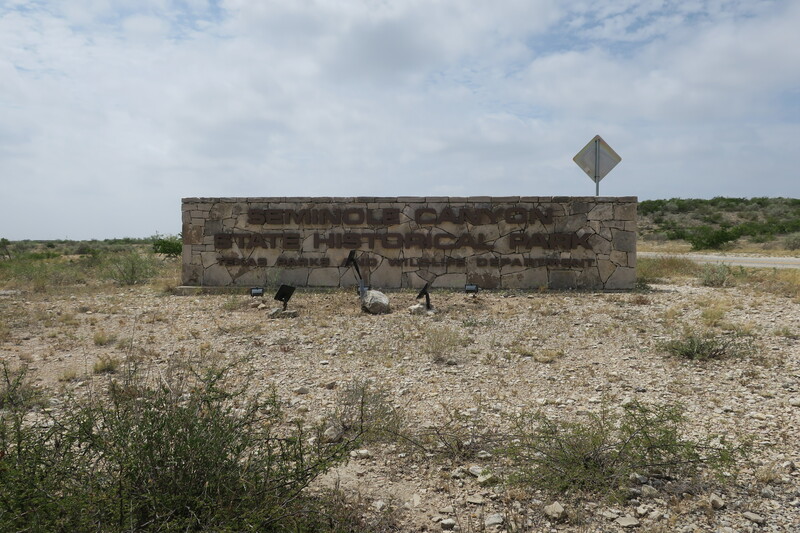 Protecting pictograph sites like those at Seminole Canyon is important. These pictographs are essentially an ancient text preserved on stone. 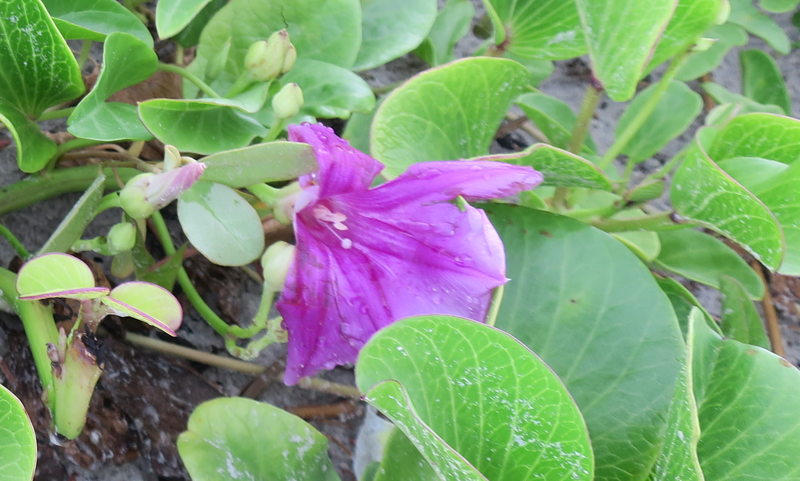 They remind us that even ancient peoples understood the value of recording aspects of their culture, beliefs, and daily life. We owe it to them and to future generations to preserve their artistic and cultural legacy. 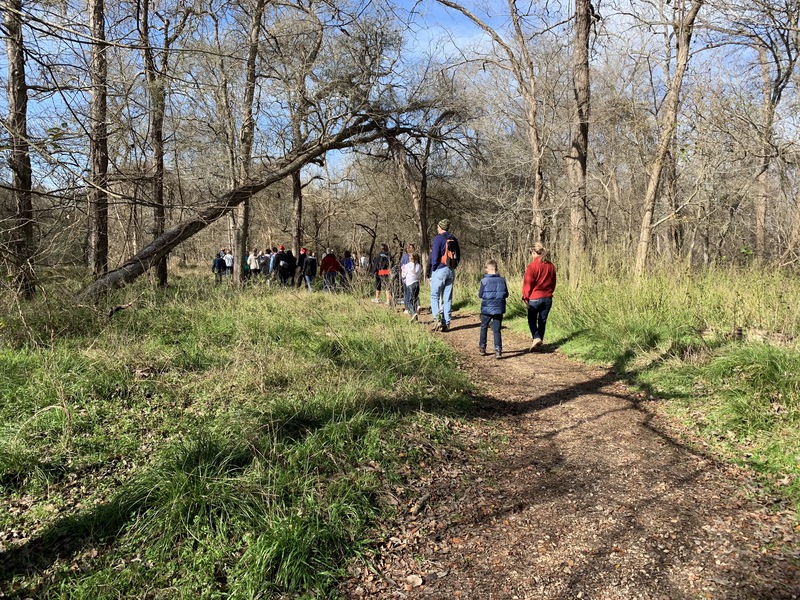 The only way to see the pictographs of Seminole Canyon is by a guided tour. 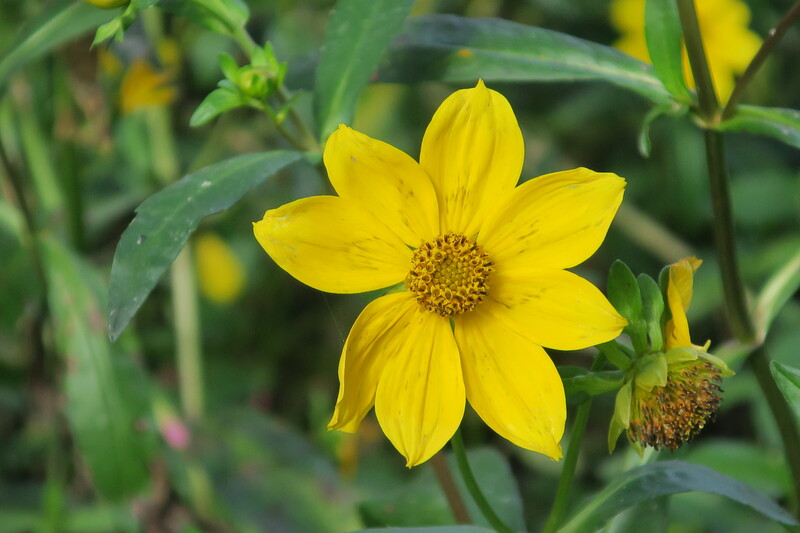 The park offers a daily guided tour for a nominal fee. 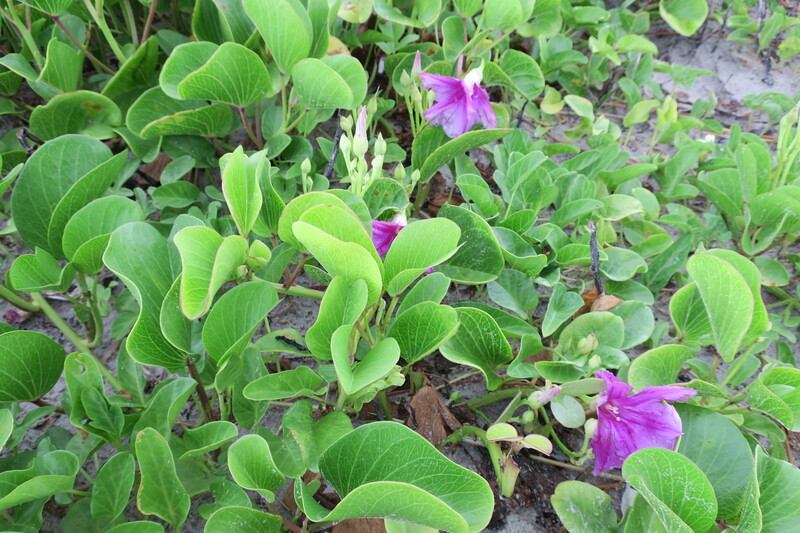 A park ranger leads each tour and offers insightful interpretive commentary. Expect to walk a couple of miles, including descending into the canyon and up and down stairs that lead to the pictographs. 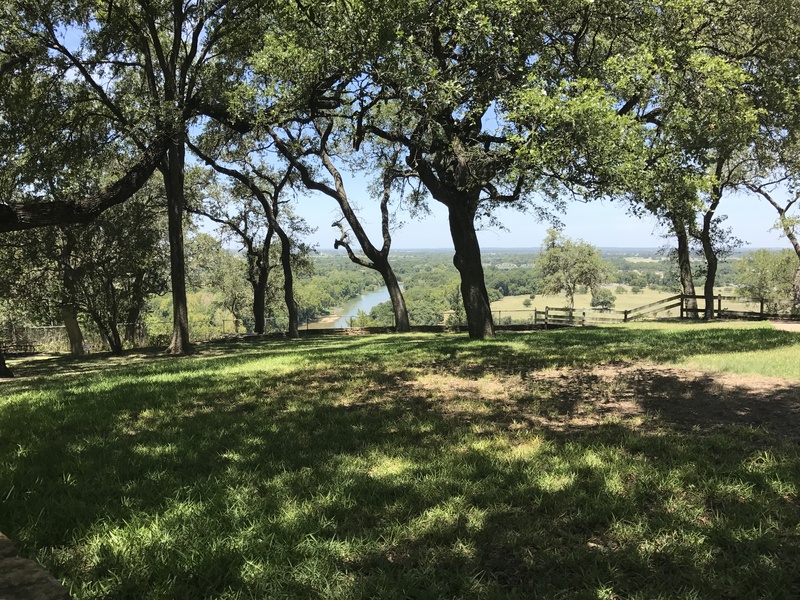 Because both time and the weather continue to take their toll on the pictographs of Seminole Canyon, plan to visit this ancient outdoor art museum sooner than later. 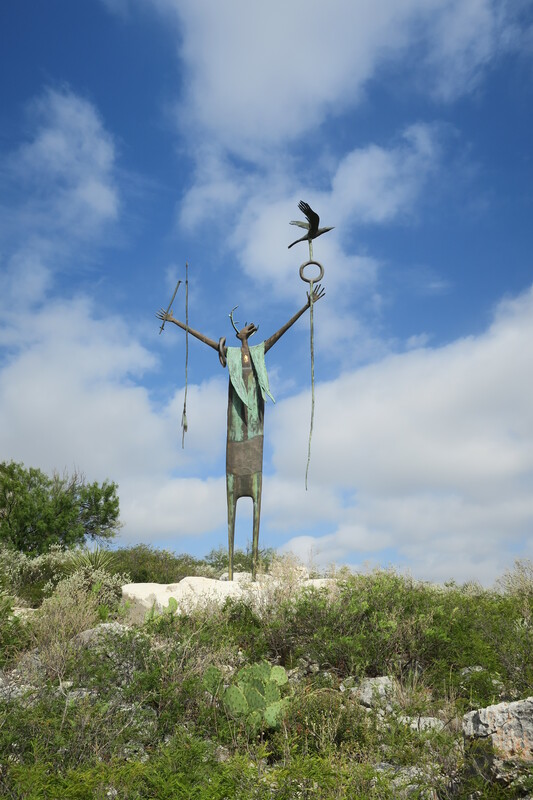 You’ll also see the really cool sculpture by Bill Worrell on your hike down the canyon. 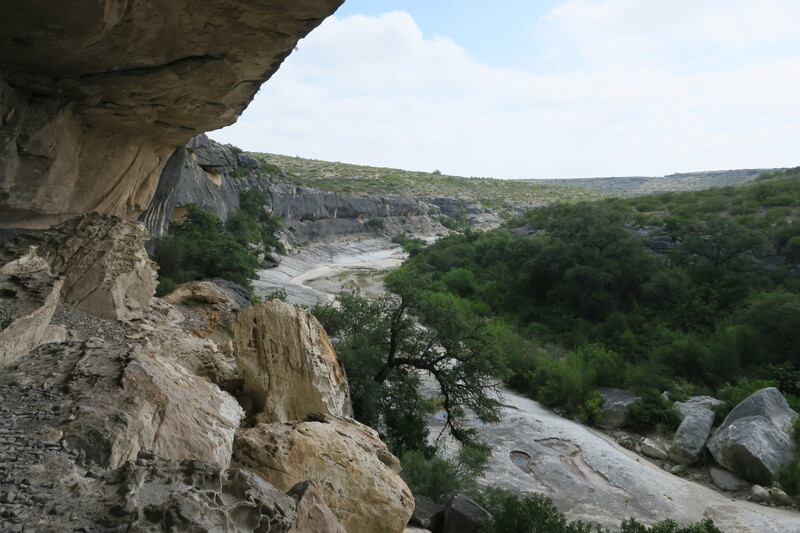 Regardless of where you live in Texas, the pictographs of Seminole Canyon are worth a visit. 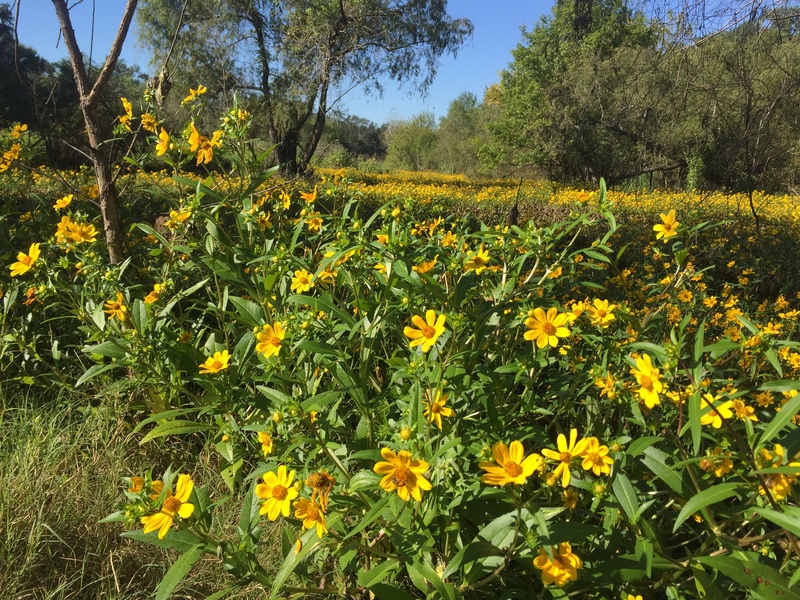 This is one Texas treasure you should not miss.